Hops Craft Beer Burger in Monroe has a Citizen Cider Night 6pm – 8pm! 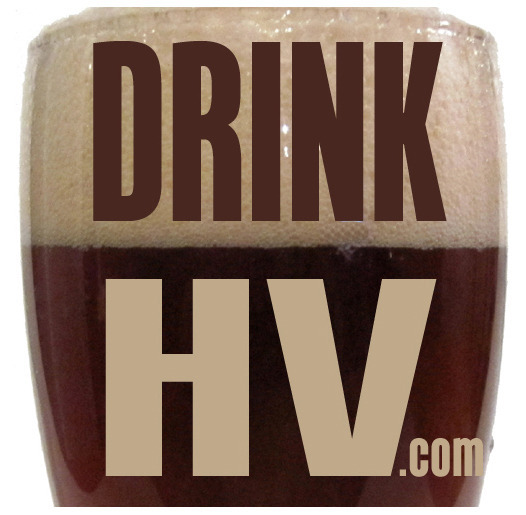 The Dutch Ale House in Saugerties has a Mug Club Event with West Kill Tap Takeover 5pm – 8pm! Growler & Gill in Nanuet has a Maine Beer Co. Tasting 6pm – 9pm! The Tavern 32 in Bronxville has a Stone IPA Madness 6pm – 10pm! All City Grill in Lagrangeville has a Toppling Goliath NY Launch Party & Tap Takeover 6pm – 8pm! Growler & Gill in Nanuet has a Dogfish Head Record Day 6pm – 9pm! DeCicco & Sons in Brewster has a Bells Tap Takeover 5pm – 10pm! Beer Fest is at the Westchester County Center in White Plains 4pm – 8pm! Great Flats Brewing in Schenectady has their @nd Anniversary Party 12pm – 10pm! DeCicco & Sons in Armonk has their Péché Mortel Day & Orval Day 12pm – 9pm! Delaware Supply in Albany has their Péché / Orval Day 2019 12pm – 11:55pm! The Little Rice Ball in Troy has a Rare Form Tap Takeover 7pm – 9pm! Great Life Brewing in Kingston has The Return of The Marzen 5pm – 10pm! DeCicco & Sons in Millwood has their Orval Day 12pm – 8:30pm! Honey Hollow Brewing Co. in Earlton sponsors Brewing Beer w Matty Taormina 1pm – 3pm! SUNY Schenectady County Community College has a Frog Alley Brewing Beer Pairing Dinner 6pm – 9pm! Palizzata in Kingston has a Mill House 4 Course Beer Dinner 7pm – 10pm! Growler & Gill in Nanuet has a Bell’s Oracle Release/Tasting 6pm – 9pm! Shadows on the Hudson in Poughkeepsie has a Craft Beer VIP Dinner 7pm – 9pm! Broken Bow Brewery in Tuckahoe hosts Kolsch FEST 6pm – 10pm! Peekskill Brewery hosts the Pretty in Peekskill Prom 8pm – 11pm! Mill House Brewing Co. in Poughkeepsie has a Cucumber Blessings Release Party 12pm – 3pm! Brewmasters Weekend is a Mohonk Mountain House in New Paltz! Chatham Brewing hosts PINTS FOR PIT BULLS 5:30pm – 8pm! DeCicco & Sons in Brewster has their Annual Founders Tap Takeover 5pm – 10pm! Brew Fest 2019 is at West Point Club in West Point 7pm – 10pm! Tilly’s Table in Brewster hosts Beer Fest 2019 3pm – 6pm! Brickhouse in Nyack has a Game Of Thrones & Ommegang Tap Takeover 7pm – 10pm! Growler & Gill in Nanuet has a Threes Brewery Tasting 6pm – 9pm! Growler & Gill in Nanuet has a Trappist Tasting 6pm – 9pm! TAP New York Craft Beer & Food Festival is at Hunter Mountain 2pm – 6pm! TAP New York Craft Beer & Food Festival is at Hunter Mountain 12pm – 4pm! Growler & Gill in Nanuet has a Cigar City Tasting 6pm – 9pm! The Live Art Beer Fest in at the Garner Arts Center in Garnerville 2pm – 6pm! The Live Art Beer Fest in at the Garner Arts Center in Garnerville 12pm – 4pm! The Lower Hudson Valley Craft Beer Festival is in Nanuet 12pm – 8pm! The Burger & Beer Blast is at Kensico Dam Plaza in Valhalla 6pm – 10pm! The Burger & Beer Bash 2019 is at Dutchess Stadium in Wappingers Falls 6pm – 10pm!